The PCAN-CCP API is a programming interface for the communication between Windows® applications (Masters) and electronic control units (Slave ECUs). The API is based on the CAN Calibration Protocol (CCP) by ASAM and is mainly deployed for development in the automotive area. The PCAN-CCP API uses the CAN bus as transmission medium. 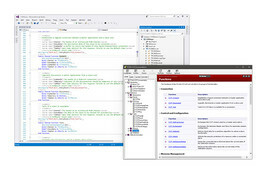 For accessing the CAN hardware in the computer, PCAN-CCP utilizes the programming interface PCAN-Basic, which is part of the scope of supply of every CAN interface from PEAK-System. The PCAN-CCP API package is available free of charge.